When buying a used car, be aware that often alarm systems are purchased on an after-market basis. As a result, if the car is purchased from a dealer, information regarding the manufacturer for after market items may not be available. If possible attempt to find out the make, model of the unit as well as the company that manufactures it. Please be advised, the costs for car lockouts depends on the year, make and model of the vehicle. The level of difficulty and the technology involved will affect the price. As a result, prices will vary, but an estimate will give you the benefit of knowing how much the service will cost before the work is performed. Due to the increased technology in car keys in recent years, it is best to ask for as many spare keys as possible when purchasing a car. The cost of replacing transponder and other computerized keys can run into the hundreds of dollars. Often, key-ways for commercial doors are proprietary and cannot be rekeyed by a general locksmith. 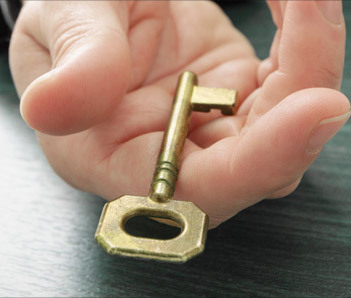 When you are in need of re-key services for your home the lock brands from door to door within the home may vary. Always have your locks re-keyed when moving into a new residence. When arranging for a rekey service, advise the technician ahead of time if additional keys beyond the standard two copies will be required.